Plants need water to survive. There’s no doubt about it. Moisture is a requirement throughout a plant’s lifecycle. Some are better at handling drought conditions than others, but seedlings are especially sensitive to significant fluctuations in moisture levels. Too much variation will stress your baby plants. 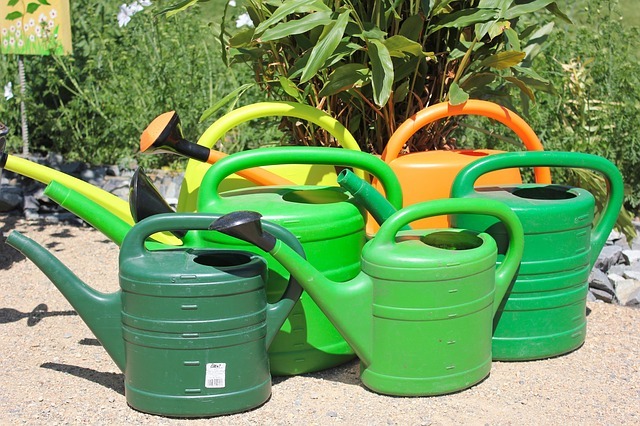 Proper watering will produce sturdy seedlings and prevent loss. If you don’t water enough, drown your seedlings or wait too long between waterings, you may just watch all your effort go down the drain. Everyone has a different way of approaching the seed starting process, but here are some tried and true tips for watering your seedlings. Water from below. My seed starting setup includes sturdy, deep trays where I set flats or coco coir pellets. Once seedlings have popped through the soil, I shallow-fill the tray with water. Watering from below helps prevent disease development, and I’ve found it encourages strong root growth. I’m also less likely to drown the tiny plants this way. Watch the temperature. Don’t water with scalding hot or ice cold water as it can stress your seedlings. Opt for lukewarm or room temp water for watering. Soak the soil. Before planting seeds in soil mix, make sure the soil is wet. Watering once you’ve popped in seeds is tougher and may cause small seeds to migrate to other cells in a flat. Keep to a schedule and make it part of your routine to take a peek at your seedlings at least once a day. You’ll notice right away if there’s anything wrong and you’re more likely to remember to water consistently. Thankfully, proper watering doesn’t require any additional spending. Consistency and diligence will get your plants where they need to be!